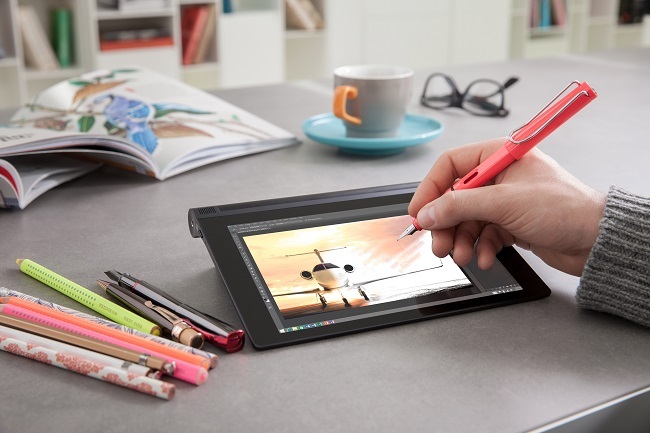 The Lenovo Yoga Tablet 2 is receiving a new Windows 8.1 variant that provides an interesting approach to having a stylus. 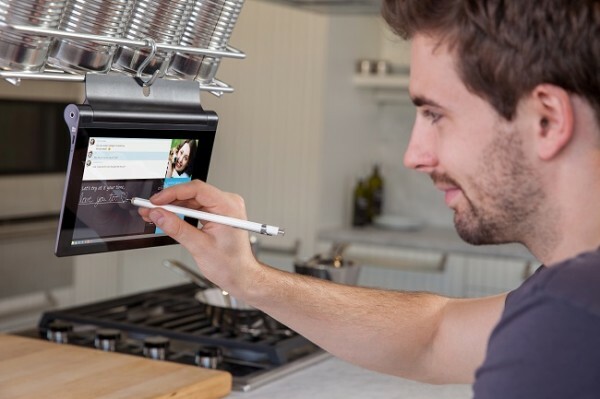 Instead of including a stylus, the Lenovo AnyPen technology will allow any regular pen or pencil to function as a handwriting tool for the tablet. Instead of providing a specific stylus for the tablet, it instead uses what the company is calling the Lenovo AnyPen technology; which allows any pen or pencil to function as a stylus. It doesn’t just work with pens and pencils, as Lenovo’s press release indicates that any conductive object with a metal or graphite point greater than 1mm will be recognised as a stylus. We’re not stuck how prepared people will be to scribble on their Yoga Tablet displays, but at least those pens that have run out of ink still have a use. Aside from the new technology, there isn’t much to say about the 2015 version of the Yoga Tablet 2. It retains the same kickstand hinge that allows it to have the multiple modes. The processor is the same Intel Atom Z3745 in the Android version of the tablet, along with the same 1920 x 1200 IPS display, 2GB RAM, and 32GB internal storage. The 8-inch Lenovo Yoga Tablet with Windows will be made available in January for US$299. No word on when it will be appearing in Malaysia just yet.